Legislation continues to move faster than ever before in the private rented sector especially that relating to health and safety, meaning the task of managing a rental property is becoming more and more challenging. We have published a Health & Safety factsheet specifically for landlords to ensure you are aware of your obligations under the current Government regulations. The factsheet covers all important areas including The Housing Health and Safety Rating System (HHSRS), Gas, Electrical and Fire Safety as well as Asbestos and Legionnaires. 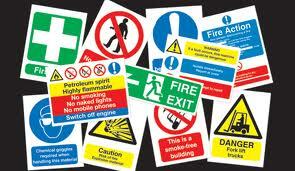 Click here to download your copy of the Sheldon Bosley Lettings Health & Safety Sheet. If you would like to discuss any of the safety aspects of your properties with our Lettings Teams please do not hesitate to contact Michael Scott FARLA at our Stratford upon Avon office on 01789 206760 or Sue Maaz FARLA at our Shipston on Stour office on 01608 665473.